Social Media and Analytics is always an interesting combination. Twitter has an API that you can so you can connect to using R and RStudio (and a whole bunch of other languages too) to analyse twitter data. Well actually, first up you'll need a twitter account. I'll assume that you have one. If you don't head over to twitter and signup. 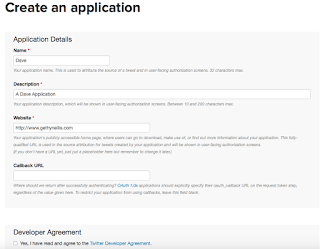 With your twitter account setup the first things first you need to do is create an application in twitter get access to the Twitter API. This is a simple process. To do this you need to visit https://apps.twitter.com signing with your twitter account if you haven't done so already . When you have signed in, click on the create APP button. The first three in the list are mandatory the callback url in optional. 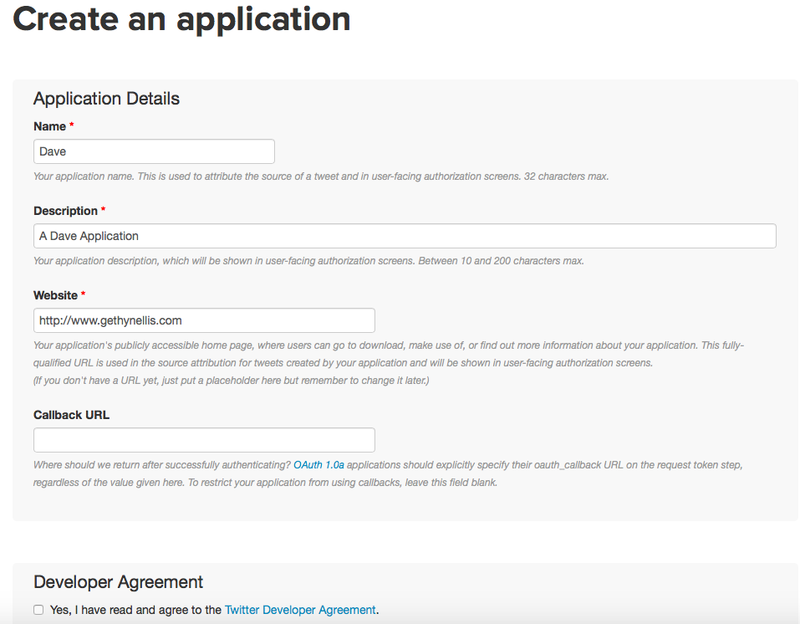 This is great package for working with Twitter and the Twitter API. 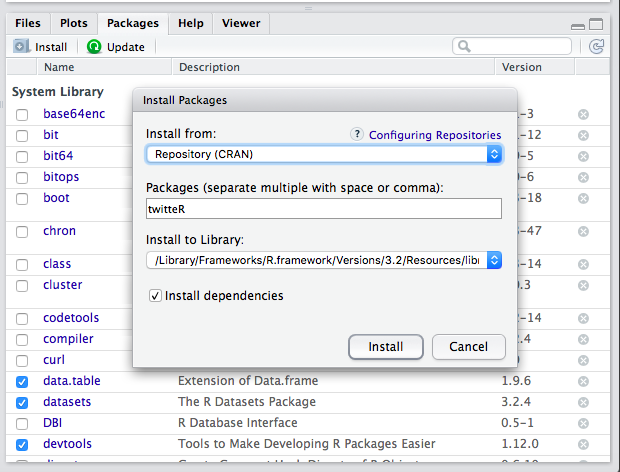 You need to install from the CRAN repository. 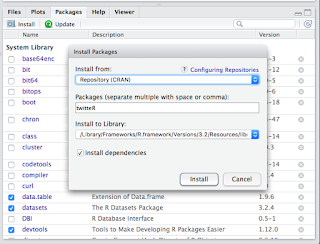 Allow all the dependant packages to be installed too. Then You can use the twitteR package to work with Twitter. The following updates your status. We will look at what else we can do with this package in a later post. R and twitteR can be a really useful combination in analysing your twitter feed. We'll look at a practical use for this in a later post. Thanks for the explanation! I've followed the steps and succeded to post in Twitter from RStudio! I'm waiting for the next post.